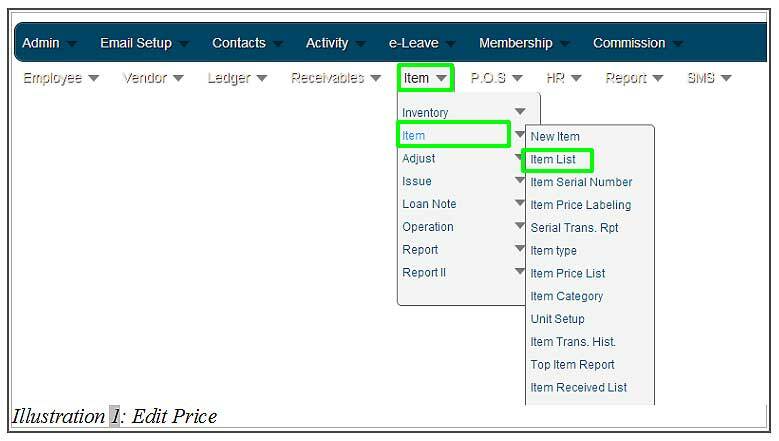 Before BMO Online Inventory System begins to make transactions related to the inventory, we need to create the items in BMO Inventory System and create a new price for that item. Below is a simple guide to show you how to create, edit and delete an item’s price. 2. 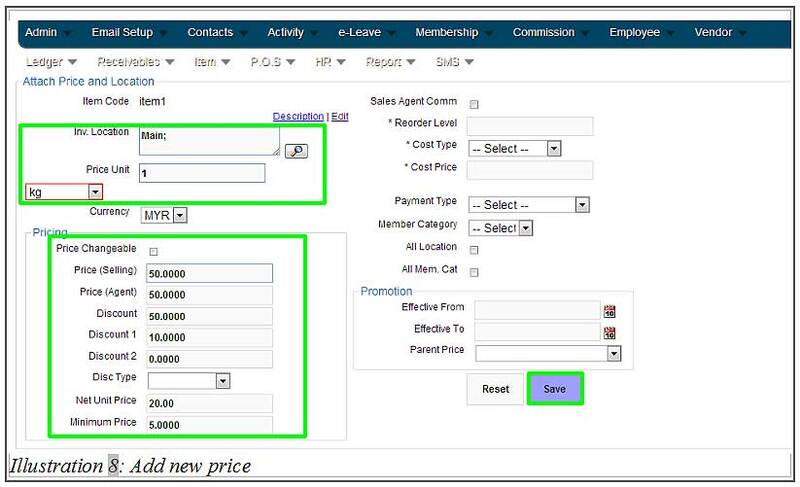 At item listing page, click on Prices to create or edit an item’s price. 3. Click on Edit to edit the item’s price. 4. 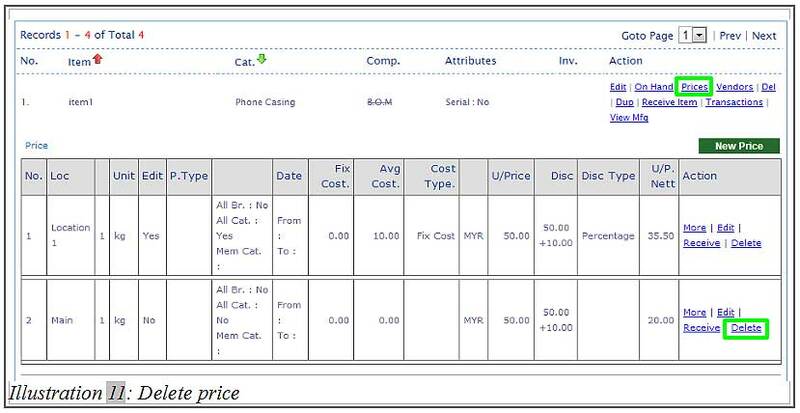 Fill in the item’s price in the column highlighted in the illustration below. Save the item details by clicking on Save button. 5. After the item’s price has been saved, a notification message will appear to inform you that the item location and price has been attached to the item. 6. 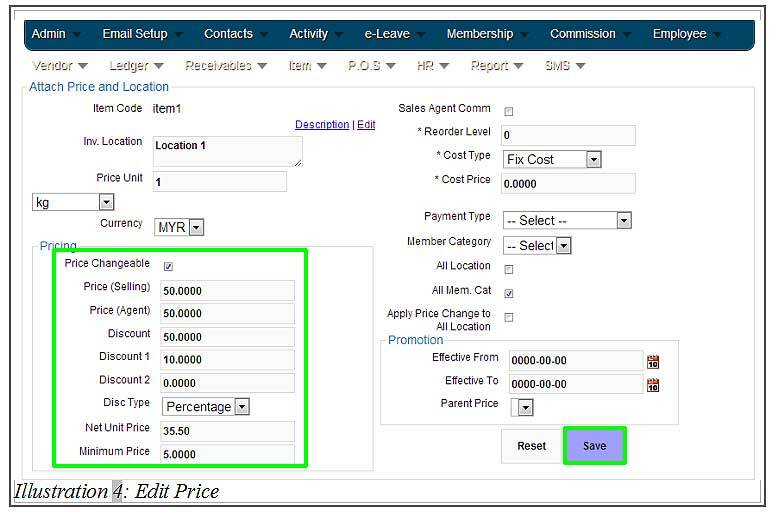 When you go to your item’s price page, you will be able to view a newly assigned price for that item. 7. Besides that, you are also able to create more than one price to be attached to an item. To do this, click on New Price button to create a new price. 8. Fill in all the price details and click Save . 9. A message will appear to notify you that one more item location and price has been attached to the item. 10. Now, you are able to view two different prices attached to that one item. 11. Next, to delete an item’s price, click on Prices and follow by Delete. 12. 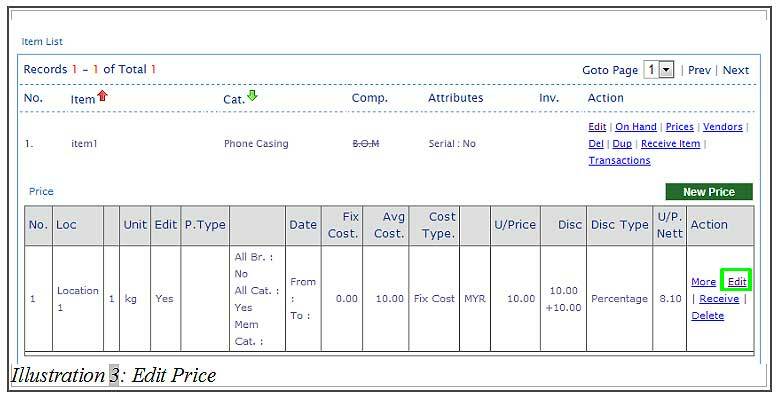 An alert message would appear for your confirmation on whether you would like to delete the item’s price. Press OK to delete the item’s price.